~The FEYLAND Books~ USA Today bestsellers! Battling for their lives against the united powers of the Dark Queen and Bright King, Jennet and Tam’s quest to stop the fey takes them into the perilous Twilight Kingdom, where illusion reigns—and magic can break all the rules. Rich-boy gamer Royal Lassiter lives on easy mode—until everything falls apart. Dark faeries are plotting to invade the mortal world, his controlling mom has turned home into enemy territory, and he can’t deny his irresistible attraction to newcomer Brea, despite the danger lurking in her mysterious eyes. Headed to the big city for a summer internship, Marny Fanalua is glad to leave her hometown and its creepy connection with the Realm of Faerie behind. Faeries. Computer games. A boy from the wrong side of the tracks, and the girl he’s afraid to love… Now all three books are available in digital format. The USA Today bestselling Feyland series continues, where high-tech gaming opens a portal to the treacherous Realm of Faerie. Grab this collection, featuring over 800 pages of adventure, gaming, faerie magic, and a touch of romance. Plus two bonus short stories! Save over 30% off buying individually. And don’t miss Beneath the Knowe, a short story set in the Bright Court of Ancient Ireland! Are you ready for a new world full of Dark Elves, magic, adventure, and romance? Seven stories of magic and music exploring worlds from ancient Ireland to a steampunk future. Find a few old favorites here, plus some brand-new tales of bardic power, spooky adventure, and how music might possibly heal our broken world. Jeremy Cahill’s gifted cello playing calls the creatures of Faerie to him. As a boy, his Irish grandmother crafts him a charm to keep the fair folk at bay—but when it finally fails, Jeremy must face the terrifying power of Faerie…alone. Music’s Price is a short story of 5200 words (approx. 25 pages) originally published in Fiction River’s Hex in the City Anthology (12/13). compelling reads without explicit descriptions or swearing, making these books perfect for YA readers or anyone in the mood for a marvelous adventure! 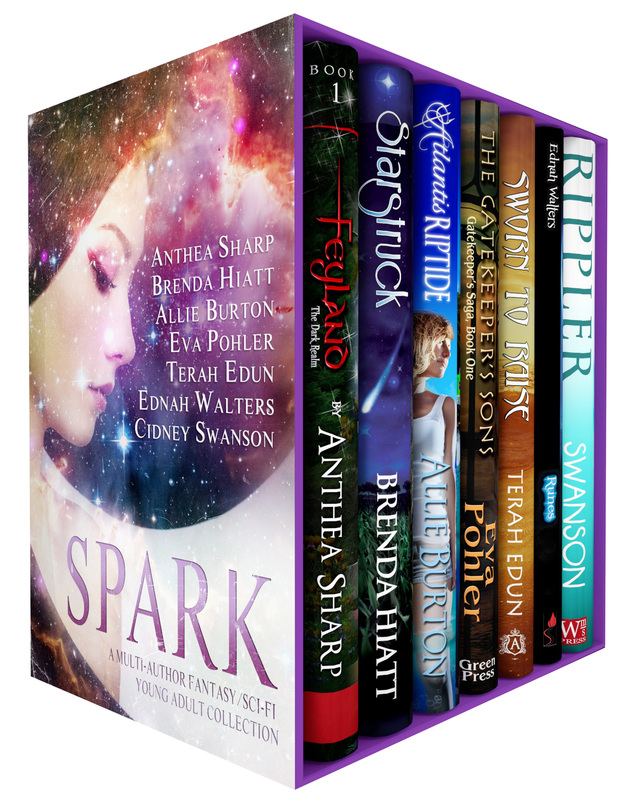 This multi-author bundle contains more than 2,200 pages of great reading. Combined, these books have over 800 *5-star reviews* on Amazon, with an average ranking of 4.4 stars. From an ancient world to the near-distant future, the halls of high school to enchanted forests, you’ll find magic and adventure aplenty in this collection – not to mention magic-imbued electric guitars, and a touch of romance. And of course, plenty of Fae enchantment! Seventeen all new, magical stories from NY Times and USA Today bestsellers and award-winning authors that will warm even the coldest hearts. Inspired by old favorites as well as lesser-known tales, find retellings of Cinderella, Beauty and the Beast, Sleeping Beauty, The Little Mermaid, Old Rinkrank, King Thrushbeard, The Princess and the Pea, and many more – all with fresh, romantic twists – just in time for Valentine’s Day! My contribution is a retelling of The Little Mermaid and has a connection to Feyland! When will the Feyguard books start coming out? My son and I are anxiously waiting for them. Especially my son. Hi Pam! Thanks for leaving a comment, and I’m glad you and your son are fans. 🙂 I’m shooting to release Spark’s book this November. If you sign up on my mailing list, you’ll get notice of all my new releases. The link is on the website sidebar, or go to tinyletter.com/AntheaSharp. Are we going to see a 3rd Feyguard book? I love reading about Jennett & Tam and Royal & Brea!! More of Royals story please. Most interesting character yet. I’m wondering if there’s any update on the second book in the Elfhame series? I just read Elfhame and fell in love. When will Hawthorne be released and if it is, where can I purchase it? Great thanks. I’ll be sure to sign up.